Fantasy Premier League FPL Show Ep 4: Will Firmino keep Liverpool firing? The ICT Index enables Fantasy Premier League managers to assess the suitability of players as targets for their squads. By condensing more than 40 match event statistics into four distinct scores, it offers a view on player performance for factors that are known to produce FPL points. Ahead of Gameweek 4, The Scout looks at the top performers in the Index and the numbers that are putting those players there. He start with a look at goalkeepers. The 30-year-old tops the ICT Index standings on 11.3. While the AFC Bournemouth No 1 is yet to keep a clean sheet, that score reflects his potential based on saves made this season. With 16 stops, Begovic is the only FPL goalkeeper to return at least one save point in every match. Last season, Burnley'sTom Heaton (£5.0m) illustrated the value of investing in a £4.5m goalkeeper who could provide a stream of saves, backed up by occasional shutouts. Heaton topped the FPL standings with just 10 clean sheets but made 142 saves, more than any other player. Begovic appears to be a candidate capable of fulfilling this role for FPL managers this season. Lossl is currently the most sought-after goalkeeper and is another to monitor. Along with David De Gea (£5.5m), the Huddersfield Town man is the only 'keeper to boast a 100% save percentage, claiming three successive clean sheets. Lossl has faced 11 shots and saved them all, compared with five for his Manchester United counterpart. The Dane has also recovered the ball 36 times and is second only to Crystal Palace'sWayne Hennessey (£4.5m and 45) for that metric. Those recoveries have helped Lossl score 8.4 in the ICT Index while also boosting his potential for extra points via the Bonus Points System. Lossl has claimed three bonus points and the statistics suggest that there is more to come. Elliot looks to continue in goal for Newcastle United as the only active option priced at £4.0m. 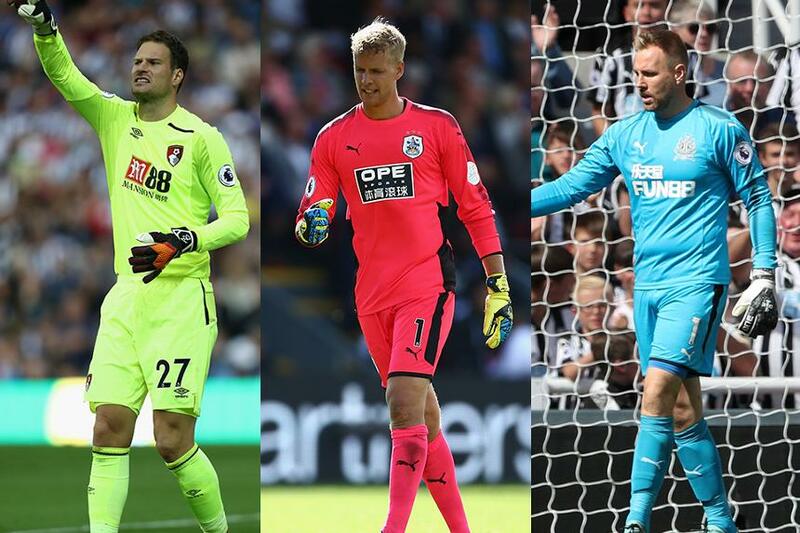 He has made a modest nine saves and scored just 5.9 in the ICT Index, but, using Heaton’s example again, Elliot appears to have the potential to gather bonus points. Heaton tallied 21 bonus points in 2016/17 as he continually outscored his back four in the BPS. That the Burnley defenders regularly failed to complete 30 passes, missing out on two, four or six points in the BPS, helped Heaton to dominate. Elliot and his Newcastle defence fit this profile this season. Only two of the Newcastle back four have earned points in the BPS for pass completion, Jamaal Lascelles (£4.5m) and Ciaran Clark (£4.5m), who both earned four in the BPS in Gameweek 2 against Huddersfield Town.